Select the “Profile -> Account Settings” menu item. 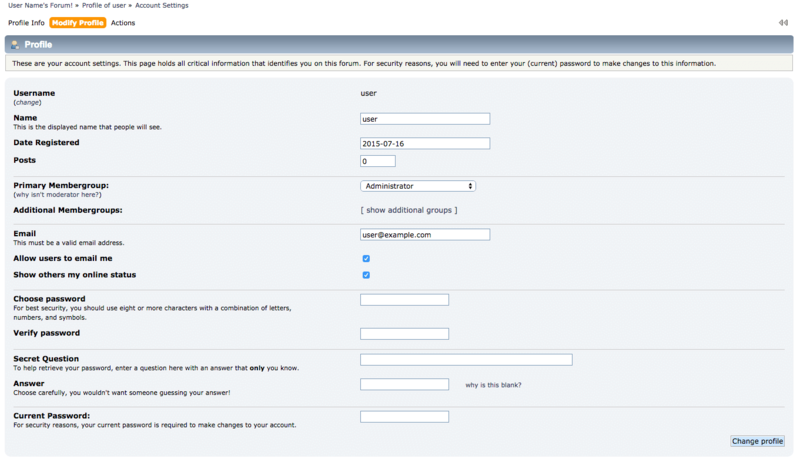 Enter your new password in the “Choose password” and “Verify password” fields, and your old password in the “Current password” field. Click “Change profile” to save your changes.